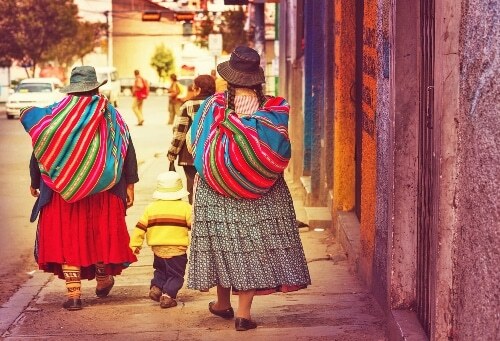 A trip to South America with some of your best friends? Living with a host family in Spain for six months? Reading “Don Quixote” in its entirety in Spanish? Landing a dream job with a world-renowned international company? If you answered “yes” to any of the above, then Spanish is a must for you in your life. Learning this beautiful romance language will make the world your oyster, enabling you to travel more than Rick Steves and Hilary Clinton combined. During your ongoing Spanish studies, you may often hit roadblocks. It may come in the form of a rather complex irregular verb (tener, anyone??) or simply the feeling that you can’t absorb a single bit of information. Sometimes, the obstacles and frustrations you encounter will feel like enough to make you want to throw in the towel and quit studying Spanish altogether. At the moment when you want to throw your hands to the heavens, pull your hair out and scream “WHY am I learning Spanish?” just remind yourself of the wonderful, magical things that come from your studies. All of these magical countries boast unique cultures, gorgeous landscapes and are home to fascinating people. While it’s possible to visit them without knowing a word of their national language, Spanish, being able to speak it makes for a much richer experience. Many schools offer the chance to study abroad as a part of their Spanish programs. 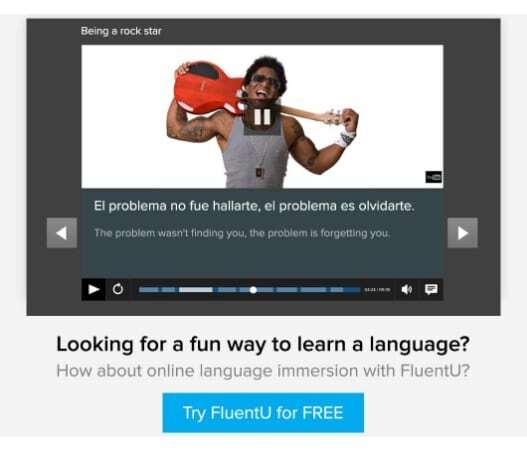 One of the best ways to gain fluency in Spanish is to completely immerse yourself in it. In most study abroad programs, students are placed with host families that only speak Spanish, making the use of it a necessity rather than a choice. Studying abroad in a Spanish-speaking country will make you learn quicker than you ever thought imaginable. If you’re a student currently enrolled in a school that offers options for study abroad, make an appointment to see an advisor about signing up for the program. If you’re not a student or your school doesn’t offer such programs, don’t fret. There are a number of organizations that can help you to study abroad anyway. Tons of companies offer placements for study abroad in Spanish-speaking countries, including Spanish Studies Abroad, studyabroad.com, CIEE and GoAbroad.com, which feature comprehensive lists of various Spanish programs along with reviews. GoAbroad.com also lists programs for other Spanish-speaking countries in South America, as does the CIEE. If you’re learning outside of school, you can take part in a volunteer program in a Spanish-speaking country. This is a great way to travel AND get to know the people through practicing Spanish. Like with study abroad programs, volunteer abroad organizations often place participants with host families. This provides the same kind of Spanish immersion as study abroad programs. Some require at least a basic knowledge of Spanish, which is yet another reason to kick off your studies today! There are plenty of volunteer organizations around that help place eager individuals in different programs in countries worldwide. One of the best aspects of these organizations is that they offer such a wide variety of topics doing things like teaching, construction work or conservation projects. Some examples of organizations offering programs in Spanish-speaking countries are International Volunteer Headquarters, which offers programs in Argentina, Colombia, Mexico and many others, and GoAbroad.com which features a page compiling many program options. Some volunteer programs require at least a basic knowledge of Spanish language to participate in them, so get started studying today! We all know that often-dreaded experience of applying to jobs and updating our resumes. As you fill out the various sections listing your work and education, questions begin to swirl in your mind. What will make me stand out to employers? How will my resume be different than that of everyone else? One of the answers: your ability to speak Spanish, of course! Whether you wish to work in your home country or abroad, being able to speak Spanish in our rapidly-globalizing world will help you achieve your career goals. A simple job search online with the keyword “Spanish” will demonstrate how true this is. Especially in our modern working world where Spanish is becoming more and more prominent. According to a study by the Census Bureau Demographers, the number of Spanish speakers in the United States is projected to rise to 39 to 43 million by 2020. Perhaps you’ve heard that you should learn Spanish to increase your appeal to employers before, and perhaps you thought it was all a load of crap. But studies show that speaking Spanish truly does make you more desirable in an employer’s eye. The Guardian also posted an article featuring a question and answer session with employers informing job seekers how to use their language abilities to their advantage. Definitely something to check out as you begin applying for that dream job at the international company. You take a weekly trip to the acupuncturist. You eat right as often as you remember to. You go to the gym four times a week with your workout buddy. Of course, maintaining physical fitness is of paramount importance. But what do you do to keep up your mental fitness? If you still need some convincing, check out this article from PSYBLOG, which, among other advantages, lists that learning Spanish could help boost your memory and make you better at multitasking. And who wouldn’t love THOSE benefits? Reading a translation of a book originally written in a different language will never be quite as good as reading it as the author intended. No matter how good the translator, there’s always a bit lost in the process. The same goes for movies—so much of the viewing experience gets lost when you watch a movie originally in Spanish with the subtitles on or dubbed. Thus emerges another reason to learn Spanish: a stronger appreciation of literature, film, television shows and other cultural fruits of other countries. Being able to speak Spanish will mean you can converse with others who speak it as their native tongue. 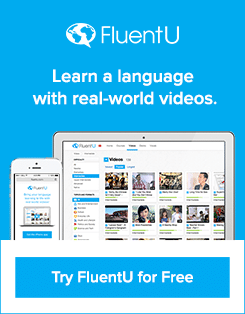 This will enable you to make connections and friends via your ability to speak Spanish. Conversing in Spanish with those who cannot speak English is a wonderful way to make them feel welcome if they are a visitor to your country. Speaking Spanish is a wonderful thing as it enables you to do so many things you couldn’t have imagined beforehand. Many benefits will take you by surprise along the way. It will lead you to magical countries all over the world via work, travel, study or volunteering. It will sharpen your mind and give you a chance to meet great people you otherwise wouldn’t have. So what are you waiting for?